Bright medium dusty ruby color. 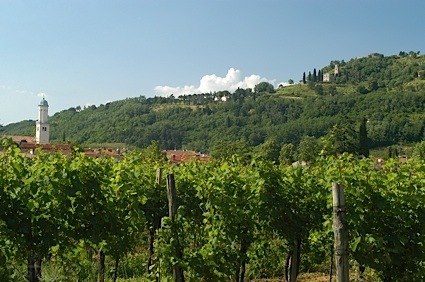 Bright, creamy, fruity aromas and flavors of berry custard pie and spiced peaches with a glycerous, lively, dry-yet-fruity medium-full body and a warming, complex, medium-long finish conveying nuances of toffee, pickled beets, herbs, and cedar with silky, fine tannins and light oak flavor. A seamless pinot that is sure to please. Bottom Line: A seamless pinot that is sure to please. 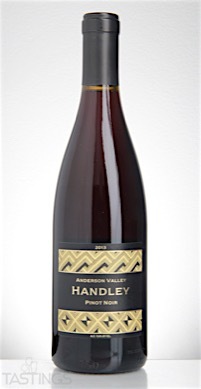 Handley Cellars 2013 Pinot Noir, Anderson Valley rating was calculated by tastings.com to be 91 points out of 100 on 5/5/2016. Please note that MSRP may have changed since the date of our review.